Karin Ross Designs specializes in kitchens and bathrooms design and remodel. Husband and wife team strive to keep all services in house to be able to guarantee to their clients 100% commitment and high quality craftsmanship. Karin Ross Designs is Lee's Summit's first Design Center where you can purchase services a la carte. At Karin Ross Designs, we offer exclusive cabinet lines, countertops, tile, large selection on vinyl planks, wood etc, or everything you need to do your next bathroom or kitchen project at amazing prices and is as simple as cash and carry. You need more then just products?! Then tell us what you need and we will create your very own remodeling menu with our a la carte services. It all depends how much you needs us from design aspect or installation. Karin Ross Designs can do as much or as little as you need. Stuck on your DIY project? Ask for our "rent a specialist" service. Please review Karin Ross Designs portfolio at http://karinrossdesigns.com/gallery/ For whom wants the total package we have our Award winning Design/ Build team created by husband and wife. Our professional design + build team allows us to keep every project we have "in house" and work with you from the drawing board to the last, final detail of your bathroom, kitchen or basement remodel. If you need design help with your next bathroom remodel or your next kitchen remodel, our award winning design + build team can oversee every step of the way from design planning to completion of your upcoming remodeling project. Together we have over 30 years experience in the industry and we can guide you of what can be done and what needs to be done. Some of our work has been awarded and or featured in local and national media like KCH&G magazine, Dwell magazine and HGTV shows. 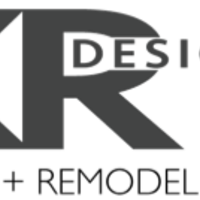 Don't wait give us a call to schedule a time so that we at Karin Ross Designs, can assist you with your remodeling needs.